Historical Grades section is used to enter the grades and GPA numbers that a student has got in the last school if transferred. It calculates the GPA and CGPA of the previous educational records. 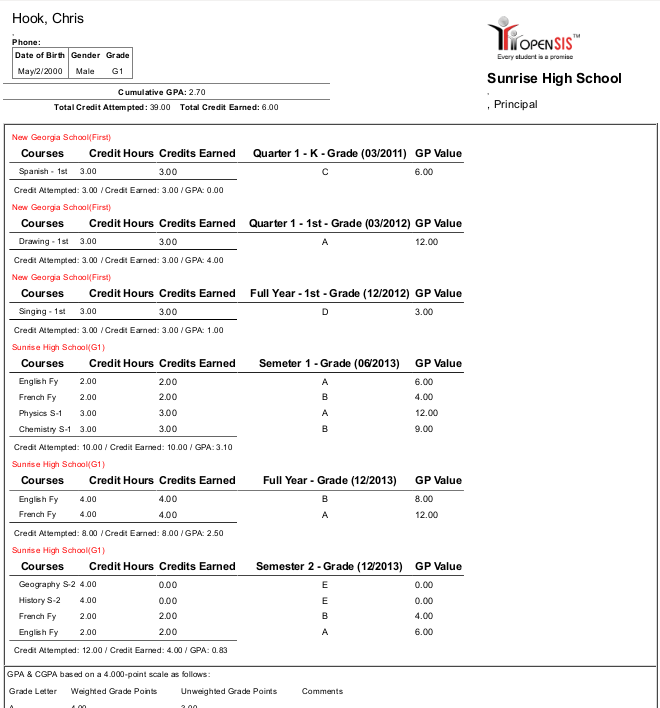 To add Historical Marking Period go to Grades >> Utilities >> Add/ Edit Historical Marking Period. Then select the Type of term, give a name to it, select the Grade Post Date and lastly select the school year you are creating the term for and save the details. 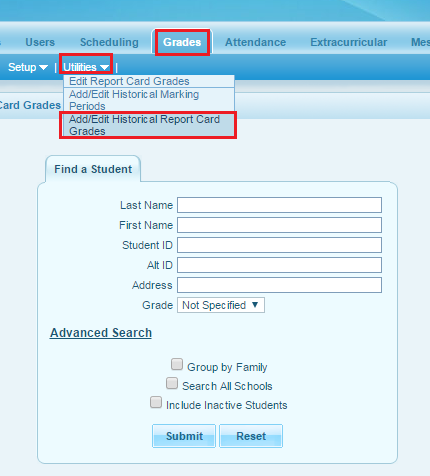 After creating the historical marking periods to assign it on the student, go to Grades >> Utilities >> Add/ Edit Historical Report Card Grades and select the student with proper search criteria. 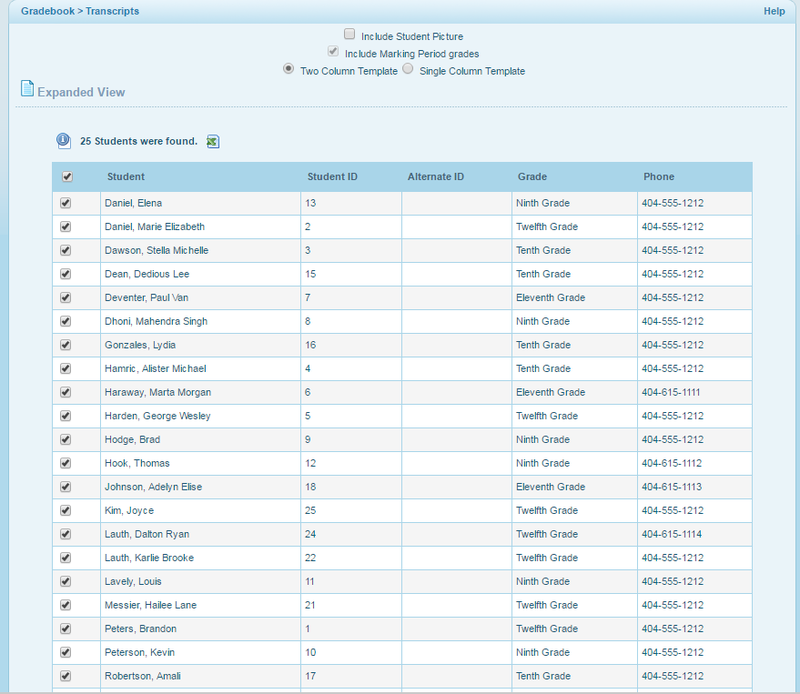 Now the student list will come up with the student names, click on the student you want to enter Historical Grades for. Now give the grade level, last school name and select "Add Another Marking Period" option from the dropdown & save it. Then select the historical marking period that you have created before and save. Now give the Code, Course Name, Percentage, Letter Grade, GP Value, check the Calculate GPA checkbox & Weighted GP checkbox if required, Grade Scale value, Credit Attempted & Credit Earned and save the details. Repeat the process for all terms and courses you want to enter grades for. After entering the historical grades, generate a transcript report by going to Grades >> Transcripts and search the students with proper search criteria. 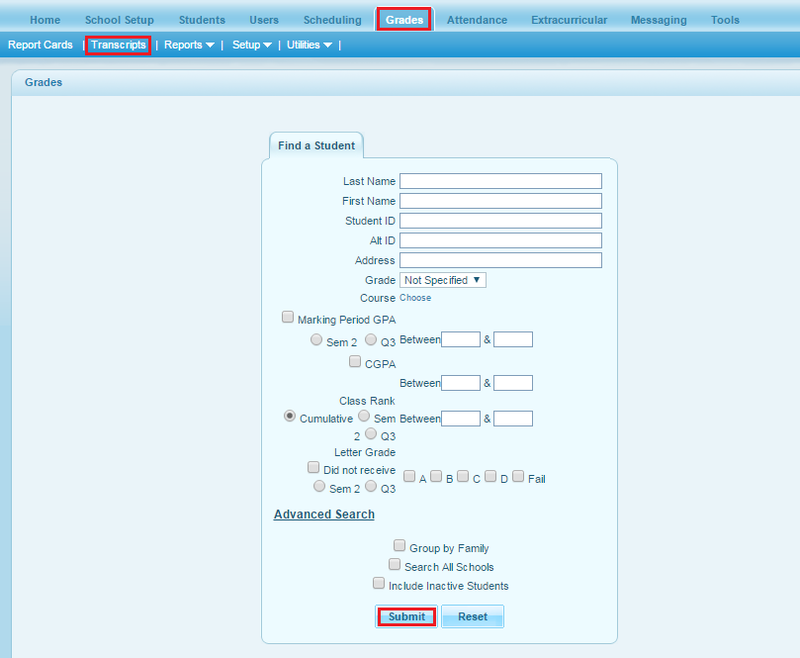 Then, select student from the list and generate the transcript report. The transcript below shows the historical grades and GPA along with the current year details.